Our mission is to say yes. Our knowledge of the unique snow conditions we live and ride in allows us to ensure our customers get the perfect equipment with the best possible service. 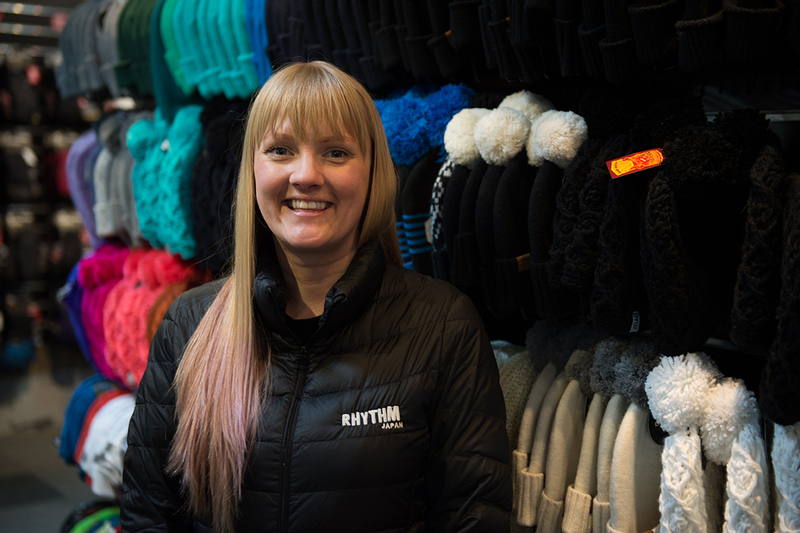 Rhythm’s aim is to provide customers with the best possible equipment and service. We offer gear that’s perfect for everyone from beginner to expert riders, backcountry explorers, those who prefer the groomed runs and even those who don’t intend on hitting the lifts at all. 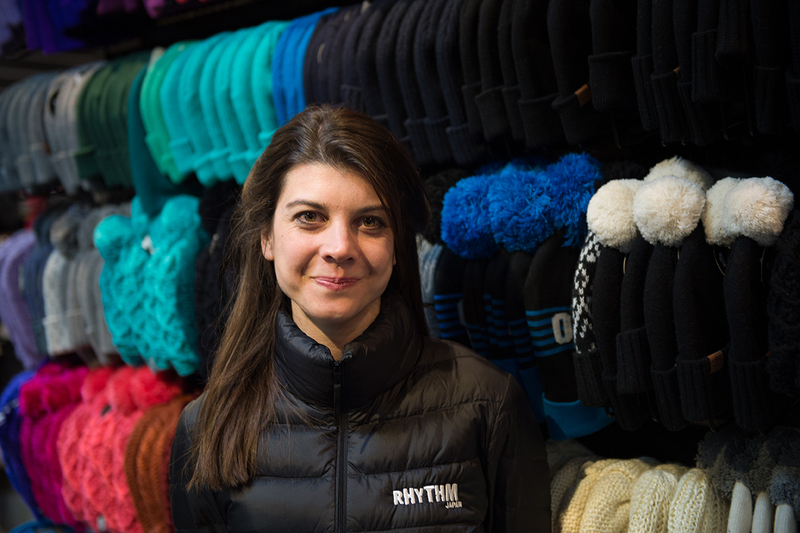 Each and every staff member at Rhythm has a love for snow and all that Japan’s winter months have to offer. They are all friendly experts who want to share their knowledge and extreme level of happiness with their customers. 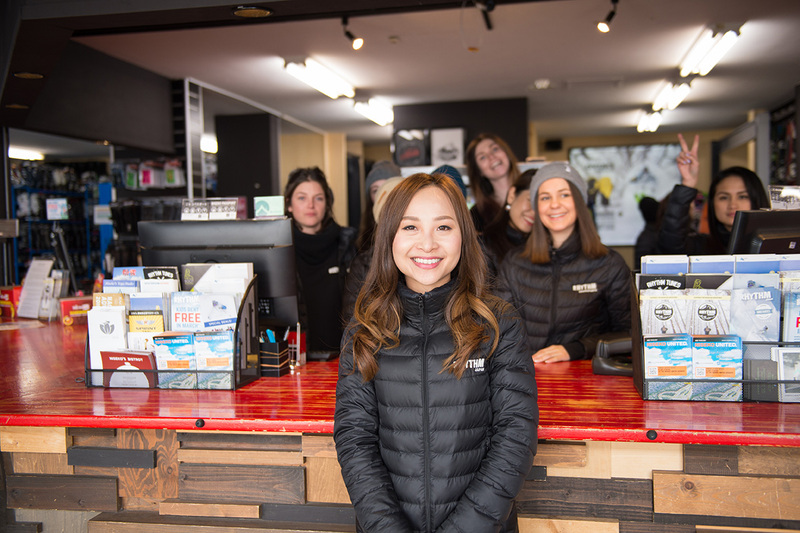 The smiles of our guest services team are likely to be the first thing you see when you step into our store. 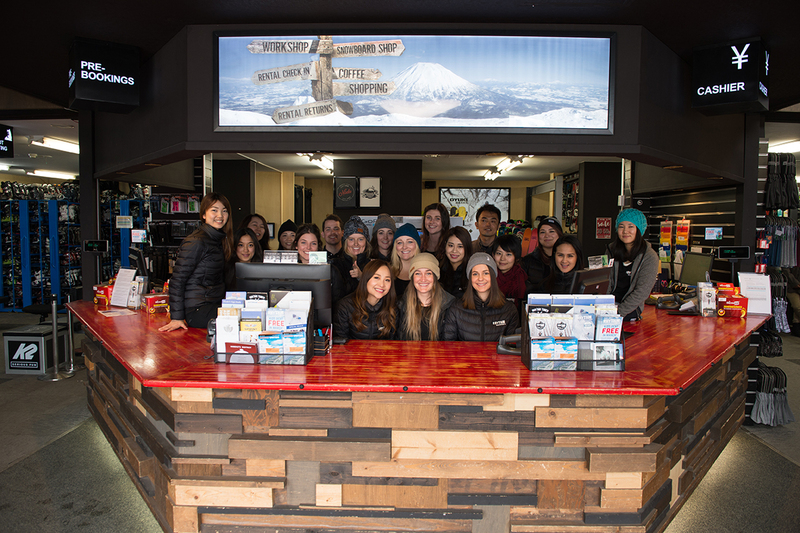 These friendly, knowledgeable people work behind our front counter and provide support for our customers. Often Rhythm is the first place travellers to Niseko and Hakuba visit so we like to help them feel comfortable by answering any questions they have, even the ones that aren’t related to skiing and snowboarding. Our guest services team have been trained to keep chill under pressure so don’t be afraid to approach them even when the shop is busy! Our guest services team also consists of a crew of drivers who pick up and drop off customers to / from their accommodation. They are also happy to answer any questions customers have as they cruise around town. 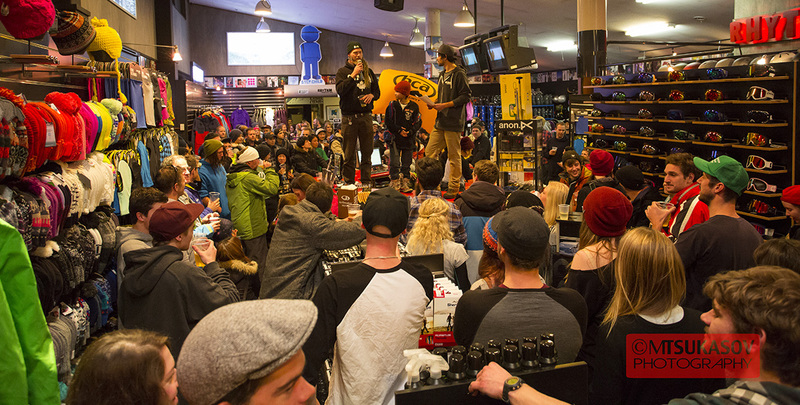 Our ski department is made up of humans who love to ski so much they’ve made it their job. 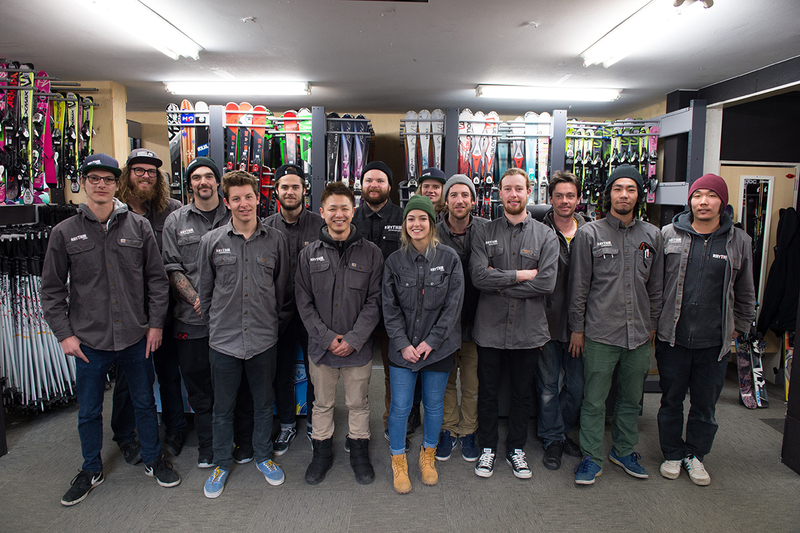 All new staff in the ski department are given a week’s intensive training at the start of the season so they have the knowledge to go with their passion. This means they can give valuable, honest advice on what equipment will suit the needs of each customer, whether they are interested in renting gear or buying their own. 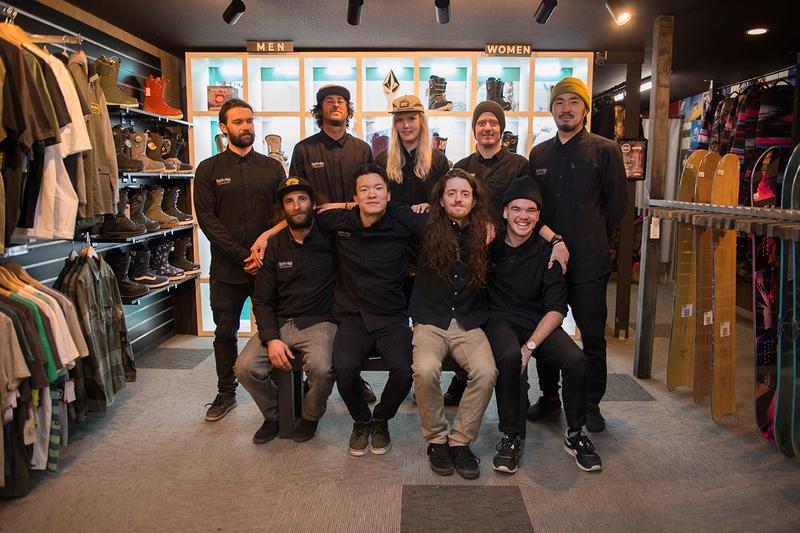 With one of the world’s best powder destinations in their backyard, our team get to know the mountains and the environment around them very quickly and are more than happy to share some inside information with visitors to the store. 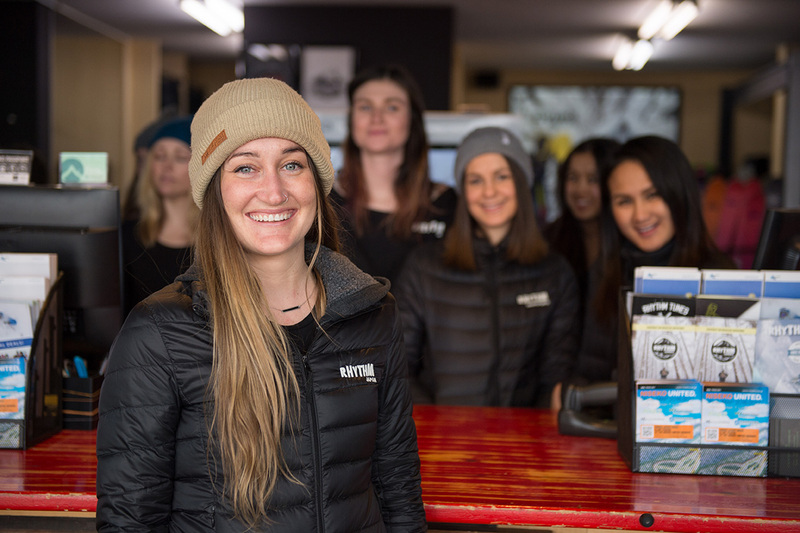 So whether you want to try out the latest powder skis, or perhaps you’ve never skied before, or maybe you’re just keen to feel some good vibes, our ski team can help out and make sure your holiday gets off to the best start possible. Our snowboard team dreams about deep powder days, just like you do. 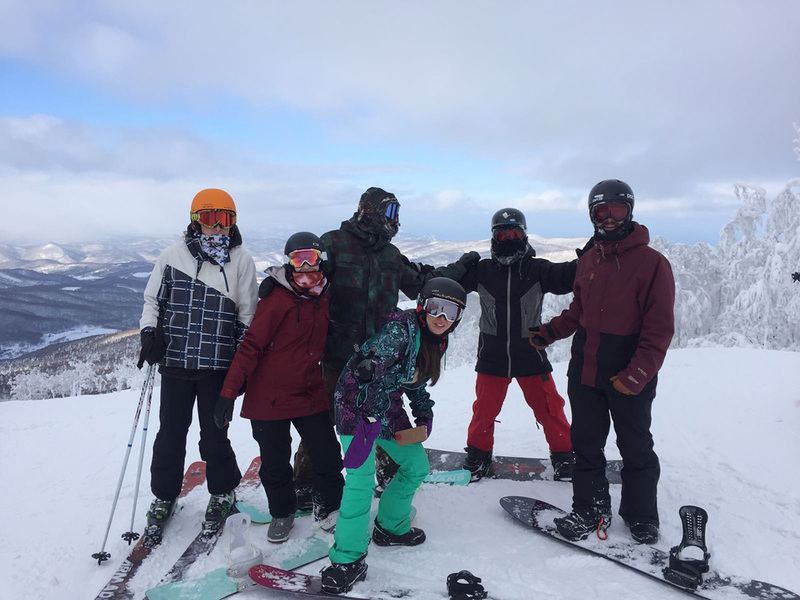 All of them are experienced riders who have traveled to Niseko or Hakuba so they can work and ride in some of the best resorts in the world. 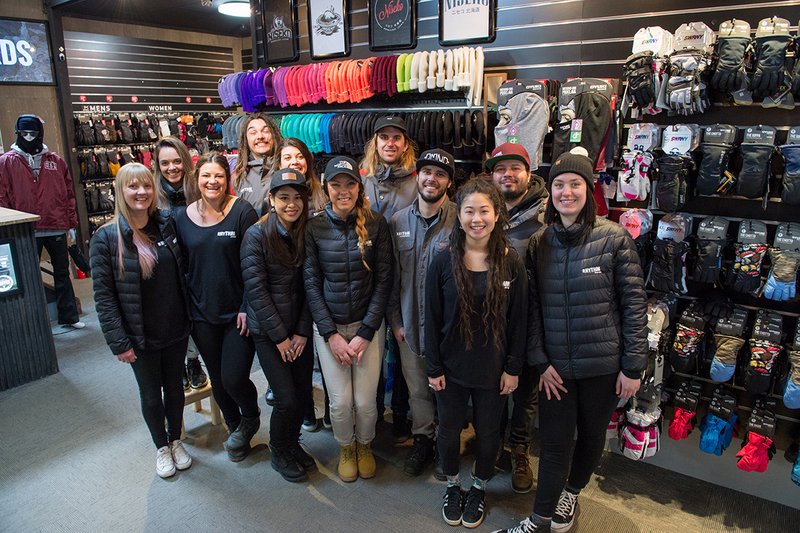 Every year our newbie snowboarders are put through an intensive workshop so they know our retail and rental gear back to front. We also encourage them to get on the mountain as much as possible so they can product test while also getting to know the environment around them. This way they are ready to answer any questions customers may have when they visit the store. 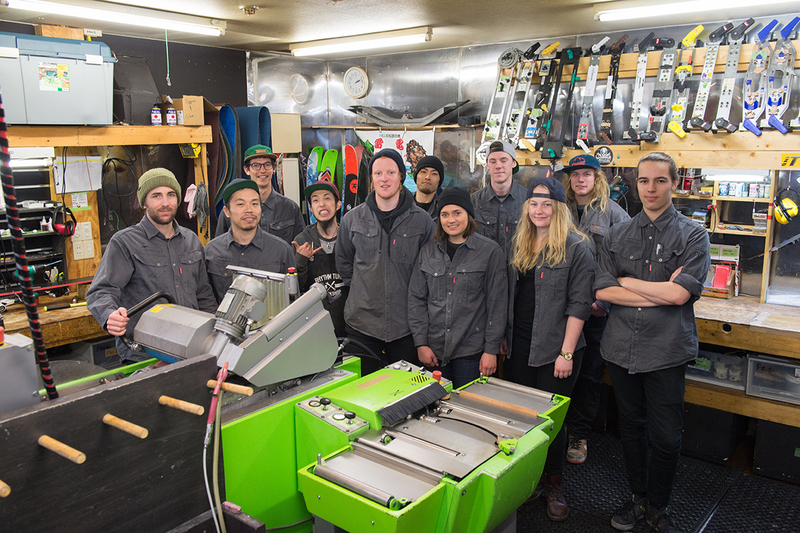 The guys and girls in our turning shop work around the clock to make sure Rhythm’s fleet of rental skis and snowboards are in the best possible shape. They are all trained to use the latest tuning equipment so our gear is like new every time it goes out the door. 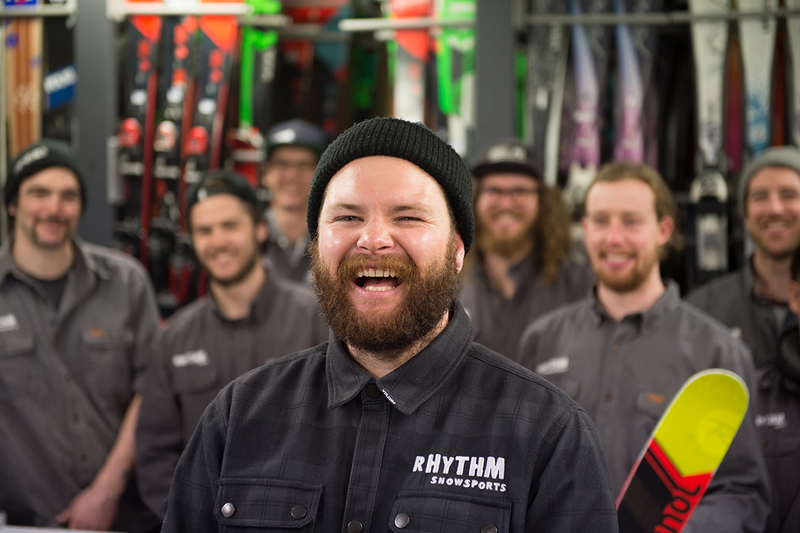 When it comes to tuning and repairing hardware for customers, our crew are perfectionists who want to make sure riders are getting the most out of their skis and snowboards. 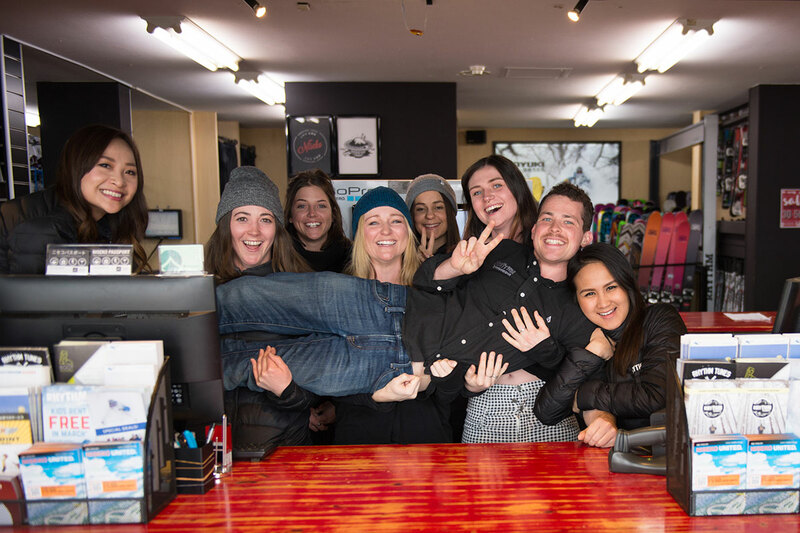 Whether you’re just after a hot wax or a complete overhaul, the workshop team will get it done as quick as possible so you don’t miss a moment on the mountain. 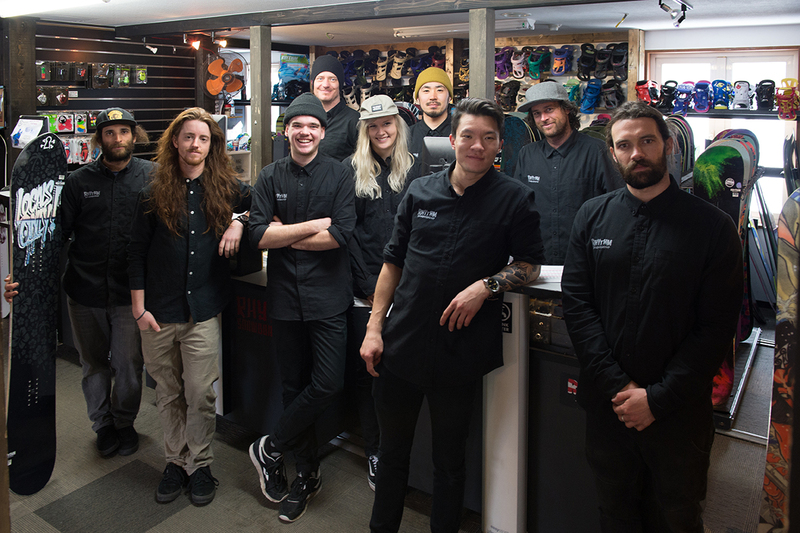 Ski and snowboard technology is evolving all the time, which is why our retail staff are constantly updating their knowledge and keeping up with the latest trends. 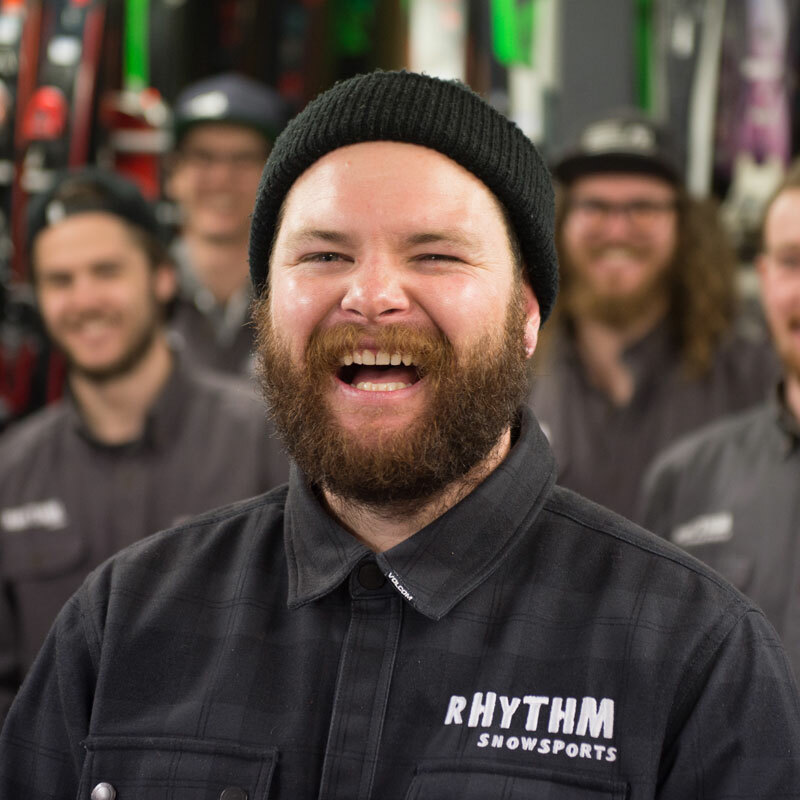 Rhythm stocks it all, from beanies, goggles, gloves and helmets to outerwear, backcountry gear, apres boots, luggage and more, so it’s important that our retail tech heads are walking databases, loaded with information that can help customers make informed decisions. Feel free to ask them anything, even the tricky questions! Even if they don’t have the answer, our team will do their best to find out. 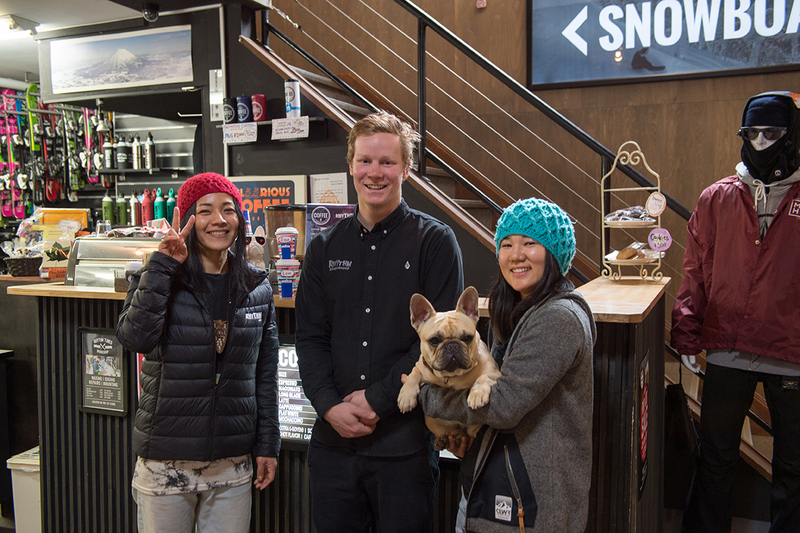 Our main stores in Niseko and Hakuba both come complete with their own coffee shops! Serving naturally smooth Allpress Espresso coffee, our trained baristas are passionate coffee lovers who enjoy nothing better than producing the perfect cup for their fellow drinkers. 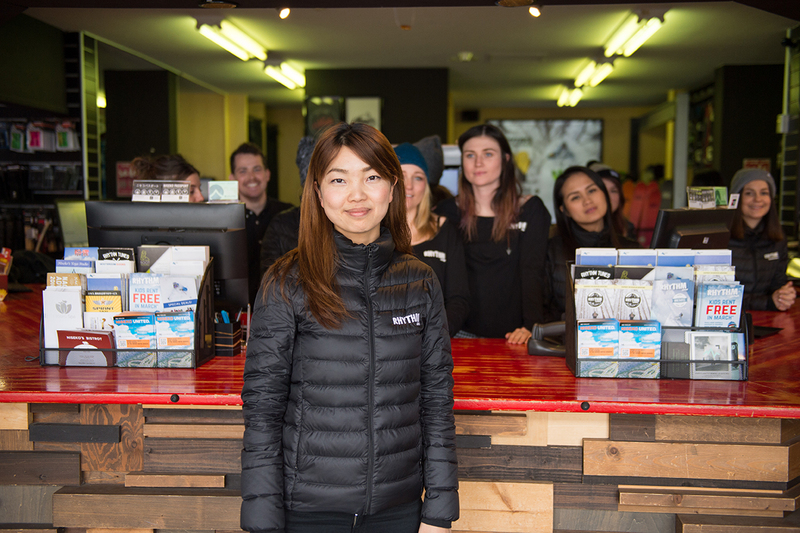 The saying goes that behind every great ski shop is an even greater admin team! Our admin team is made up of a group of highly skilled individuals who work across human resources, retail buying, management, marketing, graphic design, accounts, warehousing, customer support and much, much more. 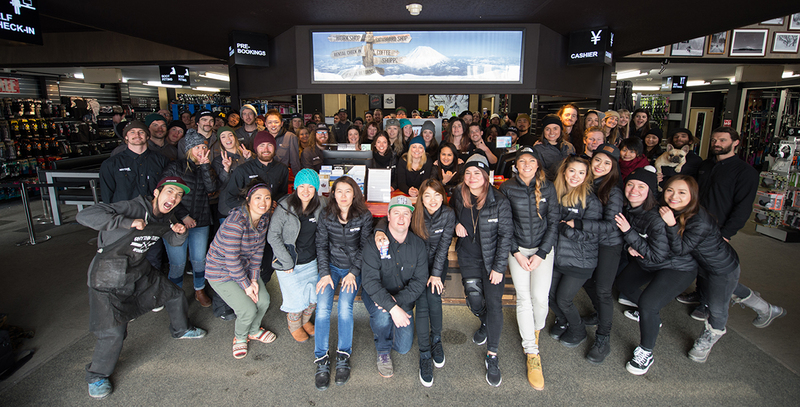 Most of our admin team is based in Niseko year ‘round so they know the place back to front. They also love to ski and snowboard so we make sure they’re let out of the office regularly to enjoy plenty of time on the mountain.